Today we’re delighted to be joined by a husband and wife team who are both best selling children’s book authors! 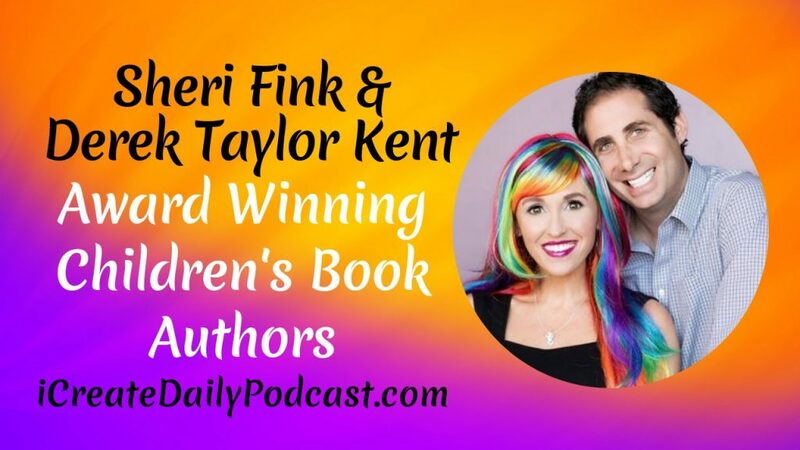 While the colorful wigs, glittery eyes, and magnetic personalities are indeed whimsical… both Sheri Fink and Derek Taylor Kent are savvy, down-to-earth business owners, marketers, and publishers. Sheri Fink is an inspirational speaker, a #1 best-selling, award-winning author, and the president of “The Whimsical World of Sheri Fink” inspirational brand. All 5 of her children’s books were #1 best-sellers, including The Little Rose which was a #1 Amazon Best-seller for over 60 weeks! Derek Taylor Kent is an author, screenwriter, performer and director based in Los Angeles. Best known for his children’s books, his best-selling, award-winning books are treasured in hundreds of thousands of homes across the world. His newest middle-grade novel (ages 7-12), Principal Mikey, was released in May 2018 and became a #1 best-seller on Amazon. We loved the passion Sheri and Derek bring to building their Whimsical World, inspiring children to be more confident in themselves. Their mission to empower and uplift children and adults alike inspire us. We hope you enjoy their stories, practical advise, and wisdom as much as we enjoyed spending time with them!